New York Affordable Reliable Electricity Alliance (NYAREA) is probably the most important energy organization in New York. Mr. Laurent Lawrence is the Executive Director for New York AREA and manages the daily operations of the organization. In his capacity, Mr. Lawrence assists with New York AREA communications, member development, policy maker outreach, public relations and advertising. AAEA has worked with NYAREA for years and we proudly serve as a member of the alliance. Their commitment to energy reliability is second to none and New York should be proud of these energy reliability champions. Mr. Lawrence recently presented testimony at a roundtable hearing titled "Environmental Justice and Nuclear Power" that we organized for The State of Environmental Justice 2007 Conference at the Howard University School of Law. Laurent L. Lawrence began his career with New York AREA in January of 2005. An alumnus of Utica College of Syracuse University, Mr. Lawrence earned a dual degree in both Public Relations and Journalism. Along with the various scholastic leadership positions that he held while in college, Mr. Lawrence has studied and interned in London, England as well as written for various newsletters, newspapers, and magazines. The Washington Post reported what we already know: the Capitol Power Plant uses coal but produces no electricity. It should be a cogenerator and should produce electricity. That would be the best carbon dioxide offset for the facility regardless of the fuel source. Of course, when we toured the facility about 15 years ago we were told it was cheaper to buy the electricity from PEPCO. Yet those Mirant-owned plants (sold by PEPCO) use coal too. Coal seems to be an important fuel source for powering the U.S. Capitol and the rest of America. Cogenerate. Use super critical boilers. It is ironic that the Capitol Power Plant began providing electricity in 1910; but today, it only provides steam for heating and chilled water for cooling buildings within the Capitol Complex. Congress approved a huge expansion of the Capitol Power Plant (see our photos--new cooling section on the right in each picture) to accomodate the Capitol Visitor Center that is behind schedule and way over budget. Why is the House even talking about doing anything without agreement from the Senate and the Executive Branch? The article stated that the Senate used about 316,000 metric tons of greenhouse gas emissions in fiscal 2006 (equivalent to 57,455 cars) while the daily House operations generated 91,000 tons of greenhouse gases in 2006 (equal to 17,200 cars). The 3 million vehicles in the Washington Metropolitan Area (WMA) should also be on Congress' radar screen if they are serious about reducing carbon dioxide in this region. About a million of those vehicles travel into the District every day. What about legislation to increase Corporate Average Fuel Economy (CAFE) standards? The WMA is still a Clean Air Act nonattainment area and it has been 35 years since that bill passed. And what about the homes. They spew carbon dioxide too. So coal and the Capitol Power Plant are not the global warming problem. Maximum utilization of innovative technologies and techniques combined with a mix of energy sources can mitigate global warming without harming our economy. Switching from coal to natural gas would only save 50% on carbon dioxide and would cost much more. Congress should be positioning the U.S. to partner with India and China to utilize technology to mitigate global warming. A symbolic fuel switch will do nothing about the problem. But the Senate voted 95-0, including Senator Kerry, against even considering the Kyoto Protocol (a bad idea anyway). Either Congress should get serious about global warming or it should stop contributing to it by blowing more hot air. 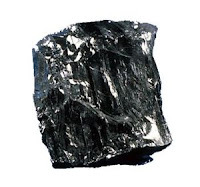 Coal provides fuel to produce 50 percent of our electricity. Now that global warming is an acknowledged problem and carbon dioxide is the leading greenhouse gas, coal is being vilified. The hold harmless clause we give ourselves for driving our cars and buying every electrical device we can afford for our homes is part of the great American illusion. What illusion you ask? The illusion that we can make coal into a boogie man while we spew 21 pounds of carbon dioxide into the atmosphere for every gallon of gasoline we use. And that home furnace, whether fuel oil, electric, gas or wood, the old CO2 is spewing. Hopefully, Kyoto II will be technology driven and will reflect an appreciation for the American way of life. We know the rest of the American public wants to consume as much electricity as possible and at reasonable prices. Note how the politicians get excited when electric utilities request price increases. Americans are consumers. In fact, we are the biggest consumers on the planet and brag about being a SUPER POWER. You don't get to be a super power by being shy about energy use. AAEA appreciates the electricity provided by coal and we will work to assure that 'clean coal' technologies will be aggressively pursued. America is the Saudi Arabia of coal and our counrtry will continue to use plenty of it. Let's just make sure it is as clean as is technologically feasible. We have occasionally taken it to the streets. We joined with Greenpeace back in the 1980s on many projects. On one particular day we participated in a protest rally and march against American Cyanimide's production and dumping of mercury waste in South Africa. The security force looked pretty fierce, but everything turned out okay. Peter Bahouth was president of Greenpeace, USA at the time. Try to stay with the video until the end because the action starts after the rally. We added the soundtrack. By Norris McDonald. I recently visited China for the first time for two weeks and discovered something that is not being publicized in the United States: The Chinese Love Black People. Okay. So it is probably as much fascination as love, but let's just say that I now know how Brad Pitt and Tom Cruise feel when they are out in public. Okay. And they do not see black people very often so it is probably very exciting to see someone different. They were peeking. They were running up to get photos with me. They were letting me in clubs free. And this was in Beijing, the capital of China. Of course, I came back to reality in Hong Kong because they were indifferent. I think the love shown to me comes from a self-love the Chinese people have for each other. Many Chinese men and women walk arm-in-arm or hugging in public. I stopped asking if people were gay after asking for the third time. Greenpeace received $40 million from the French government as a settlement for the bombing of the Rainbow Warrior back in the 1980s. Now they have won an inheritance dispute with the Salvation Army and will get $27 million. Why don't rich people ever leave money to AAEA? 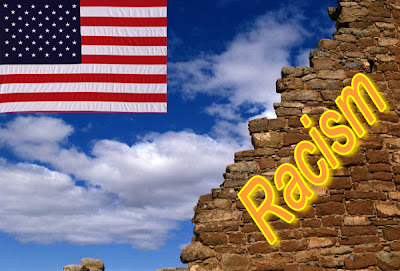 Whites are tired of hearing about it and Blacks are tired of experiencing it, but racism seems to be making a comeback in American culture. The symptoms of a resurgent problem are playing out in the media: 1) Don Imus, 2) Opie & Anthony, and 3) Michael Richards to name the most obvious ones. Fortunately, responsible Americans have responded to this resurgence with a resounding NO. There is a black community in virtually every city in the United States. Many whites appear to want to ignore this reality. Maybe it is a longing for a real American melting pot. Maybe it is delusion. These communities exist because blacks want to be comfortable. We know that many whites do not want us in their neighborhoods. No problem. Go to the richest majority black county in the country, Prince George's, and these prosperous blacks are as happy as they can be in their immaculate homes, lawns and vehicles. AAEA embraces the following reality: "The African American community is as American as apple pie." We would rather be playing golf too. And Tantallon Country Club is right in the heart of Prince George's County. It is also unfortunate that presidential candidate Barack Obama is being required to renounce being black (one drop) and ignore black community issues ("he's not like Al Sharpton & Jesse Jackson") as the price for residency in the White House. Don Imus, left, isn't exactly popular in the Black Community right now, even though sympathy in the White Community has shifted to his side, but his wife Deidre, right, sets a fine example in the Green Community. All these colors. It does get interesting. The Deidre Imus Environmental Center for Pediatric Oncology at Hackensack University Medical Center works to identify, control and prevent exposures to environmental factors that may cause health problems in children and ultimately adults. AAEA would be happy to work with Deidre's Center on asthma issues. She recently went to East Harlem to promote a plan for an environmentally friendly medical center at the Coriken Neighborhood Health Center. Kelly Taylor is an engineer at Dominion and works at the North Anna Nuclear Power Station near Richmond, Virginia. Ms. Taylor is also a member of AAEA and recently represented us at a national environmental justice conference. After many years of invaluable service, she has announced that she will be leaving the company in July. What a trememdous loss for the nuclear industry. Anyone who has ever met Ms. Taylor knows her commitment, boundless energy and restless imagination. Regardless of why she is leaving the company, it is a great loss. And if she does not stay involved in promoting nuclear power, it will hurt the nuclear renaissance movement. AAEA President Norris McDonald and his son are pictured above with Kelly at a rest stop on their 13 hour drive to Clinton, Illinois to tour the nuclear plant and to testify at a Nuclear Regulatory Commission hearing on Exelon's Early Site Permit (ESP) application. Exelon has received approval of the application. Kelly recruited us to share the ride and to participate in this hearing. AAEA also worked with Kelly at the Port Gibson, Mississippi Grand Gulf ESP NRC hearing. Although we are a small but powerful environmental organization, Ms. Taylor is welcome to work with us anytime. She cares about America's energy future. She also cares about our community. The U.S. Climate Action Partnership (USCAP) includes businesses and green groups including GM, Dow Chemical, PepsiCo, Shell, Alcan, Boston Scientific, ConocoPhillips, Deere & Company, Johnson & Johnson, Marsh, Siemens, The Nature Conservancy and the National Wildlife Federation. USCAP is pushing for a cap-and-trade system to control emissions. Citigroup, the largest U.S. bank, pledged $50 billion to cut its emissions and invest in clean energy. Senators Boxer and Sanders have introduced the Global Warming Pollution Reduction Act (S. 309) to cap greenhouse gas emissions beginning in 2010 and reduce emissions to 1990 levels by 2020. Emissions would be reduced to 20% of 1990 levels by 2050. Although many are now bemoaning the problem of global warming and calling for caps, few are providing legitimate solutions for the problem. Unfortunately nobody is paying attention to President Bush's Asia-Pacific Partnership and Methane-to-Markets programs. Moreover, the Energy Policy Act of 2005 was the best global warming mitigation measur to date because it promotes the increased use of nuclear power. The Environmental Justice Research Symposium will be held at the University of Michigan's School of Natural Resources and Environment from June 7-9, 2007. An environmental justice tour of Southeast Michigan will be held on the afternoon of June 6th. There are still a few openings for panel presentations; there are still slots for poster presentations also. If you are interested in attending the conference or presenting please register. If you are presenting, please submit an abstract soon. Conference information can be found at: http://sitemaker.umich.edu/diversityejresearchsymposium. The Mike Espy presentation video had technical difficulties. Hopeufully it can be salvaged and will be included with the rest of the videos on environmental justice and nuclear energy. What is the first sign of a dictator-in-waiting? He seizes the assets of the multinational corporations. 'Elected' president of Venezuela Hugo Chavez just took operational control of such assets from U.S. companies Exxon Mobil, ConocoPhillips and Chevron, Britain's BP, and Norway's Statoil. Of course, Chavez is pretending to 'negotiate' some sort of shared authority, but these guys have been around the world long enough to know better. 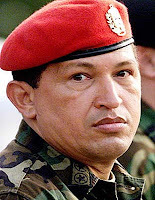 It is being reported that Chavez 'paid' a fair market value to some of the companies for control. The check is in the mail. Venezuela currently provides about 9 percent of America's oil imports (down from almost 13% a few years ago). Chavez's buddies in Cuba are also recruiting other countries to help them drill for oil offshore between their country and America. China heads this list. But we digress. Chavez is nationalizing everything in Venezuela. Just what we need: another hostile, socialist/communist dictator to the south of us. It probably will not be long before we have an aircraft carrier parked off Chavez's shore. Nine percent is ning percent. AAEA has been conducting creek walks, cleaning creeks and taking people on boat tours for over two decades. AAEA President Norris McDonald has been a water person even longer. Back in 1989 he convinced the owner of Parsons Paper Company in Prince George's County to adopt Lower Beaverdam Creek, which runs in front of the company. In the videos below, Parsons employees participated in the clean up and Norris is on the other side of the bridge doing a solo clean up in the second video. AAEA organized the "Environmental Justice and Nuclear Power" Roundtable at The State of Environmental Justice 2007 Conference on March 29, 2007. The roundtable was held at the Howard University School of Law. Click on the link below to view the videos of the session.